from any computer using our web-based e-mail service. 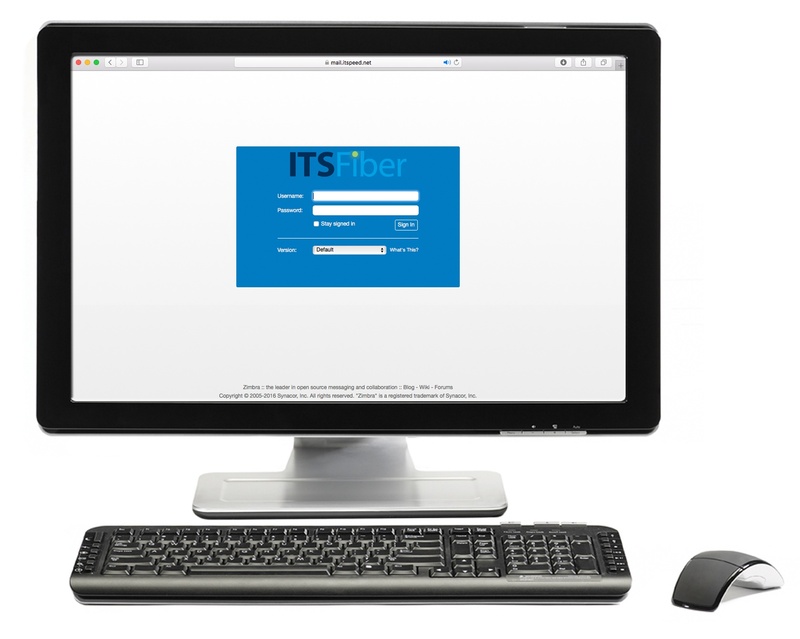 Directions are below for accessing your new itspeed.net e-mail account. Click on the “New…” item option. Choose Microsoft Exchange, POP3, IMAP, or HTTP. Enter your name, email address, password and retype the password again to confirm it. Click on the “Next” button. Outlook will do some tests to send/receive a sample email. Once finished, click the “Finish” button. If you currently get your Comcast mail through Outlook, you will see an entry under “NAME” and “TYPE”. At this point it’s ok to delete it. Simply click on the Name and click on the “Remove” button. Remember to write down your E-mail Login User Name and Password for your future reference. 2. 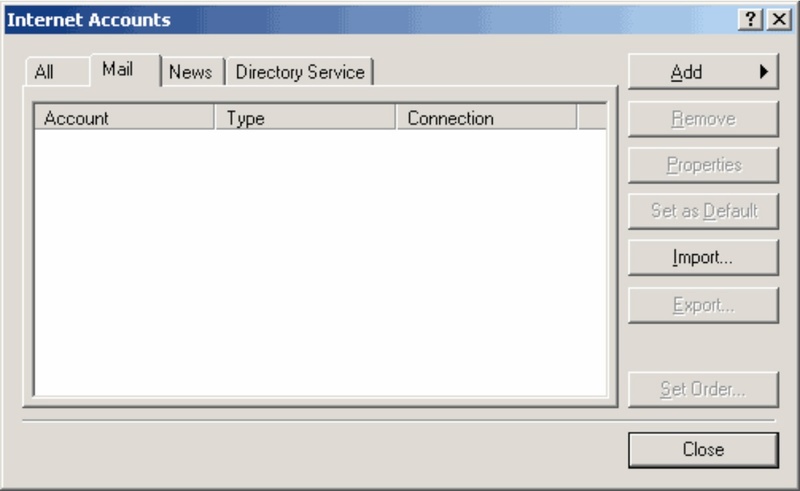 Select Accounts from the Tools menu. 4. 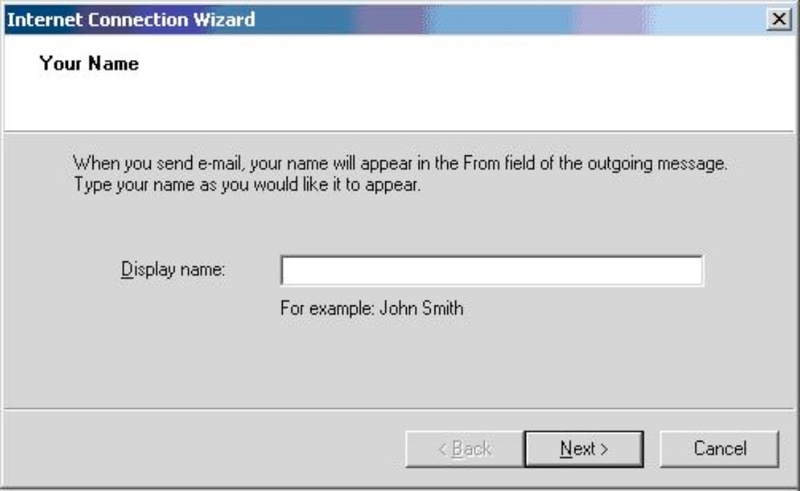 Select Mail from the drop-down menu. 5. Enter your name in the Display Name field. 9. Select POP3 from the drop down menu. 10. 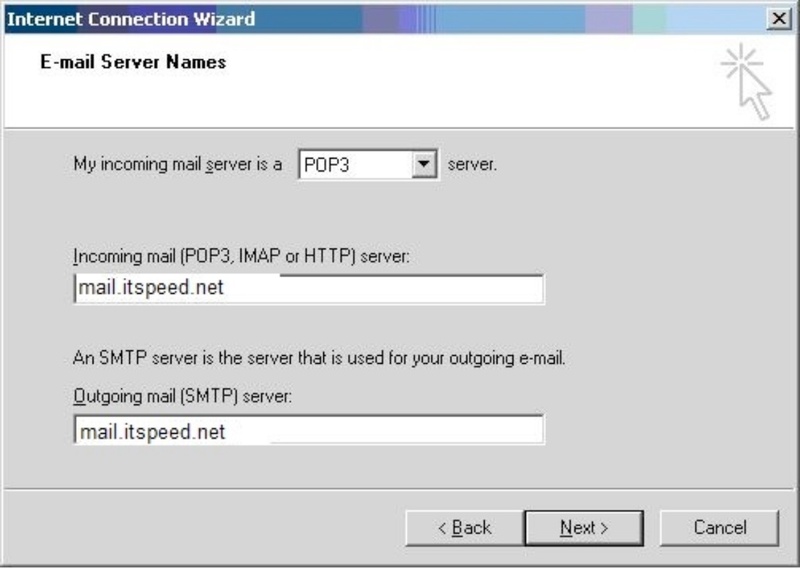 Fill in the Incoming mail (POP3) server field with mail.itspeed.net . 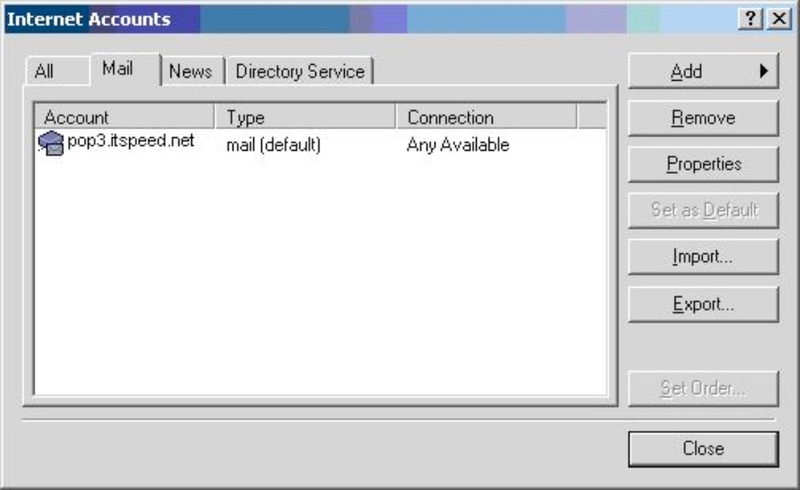 Fill in the Outgoing mail (SMTP) server field with mail.itspeed.net. 12. 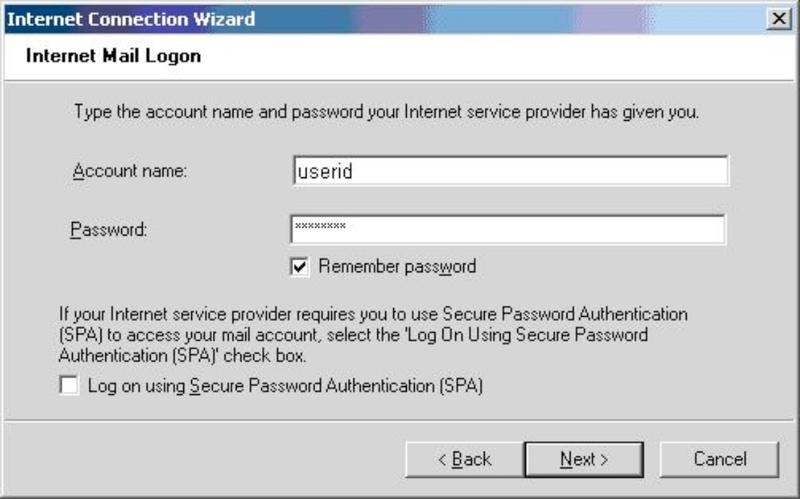 In the Account name field, enter your Email Address without the @itspeed.net. 13. Enter your password into the Password field. 16. Click the OK button. 17. At this point you can delete you Comcast entry under the Account column. 18. Click on the Comcast profile and click on “Remove”. 19. Click on the “Close” button.